About restoration company’s that do inspections- Some restoration company’s also do their own inspections. Their primary source of income is from the restoration work and their inspection services is used to find new work. There is nothing wrong with restoration work, however when a company is looking for work, the inspections they provide some times reflect a greater need for their restoration services than what is really there. I have seen small problems magnified to big problems, improper use of inspection equipment to misrepresent a problem or just plain inexperience. 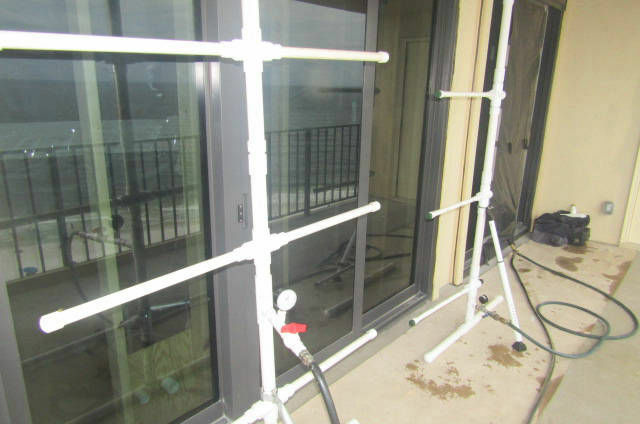 Inspection Equipment- There are several devices available for doing inspections, all work together to gather information on the condition of a cladding system. No single piece of equipment can by itself do the job. A brief summary is offered below. 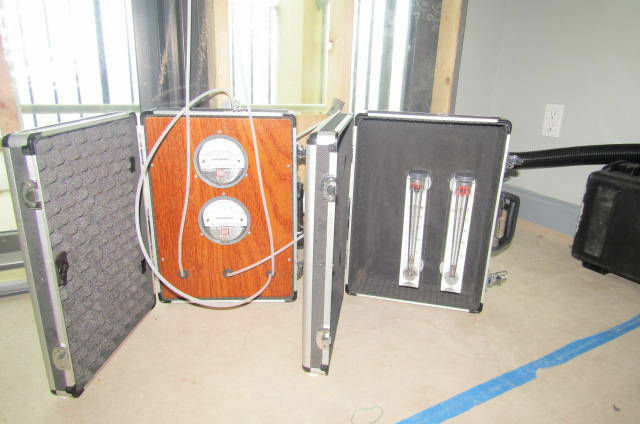 Delmhorst Meter - This meter is used to probe the substrate sheathing behind the stucco (or other cladding). This is the ONLY device that will give you a current moisture content reading. The probe holes are ice pick size and are sealed up. 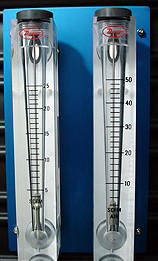 Our meters have a custom probe insulator that insure accurate readings. This meter is the only accepted instrument in most courts for detecting high moisture readings. This meter also helps to find wood rot at the substrate sheathing, and can be used with the pin attachments on interior dry wall. Often large areas of dry wood rot is discovered in a wall. Dried out rot will not be picked up by Infrared cameras, or electronic scanners. The Delmhorst meter by far is the most successful instrument for measuring moisture and finding wood rot. Wall Scanners (Tramex Wet Wall Detector) The Wet Wall Detector has been specially designed for the detection, location, and tracking of excess moisture within and behind EIFS (Exterior Insulation Finish System). This device is helpful in locating moisture but will not find dry rot. This device is one of the tools, but cannot be dependent on as a only use device. This meter will give many false readings from stucco base coat applied heavily, electrical lines, plumbing components or surface moisture. 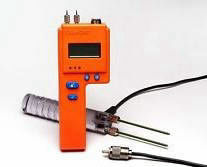 This meter helps to determined where to do Delmhorst meter probes. This meter can not be used on hard coat stucco as the cement and metal lathe content of the stucco will give false readings. 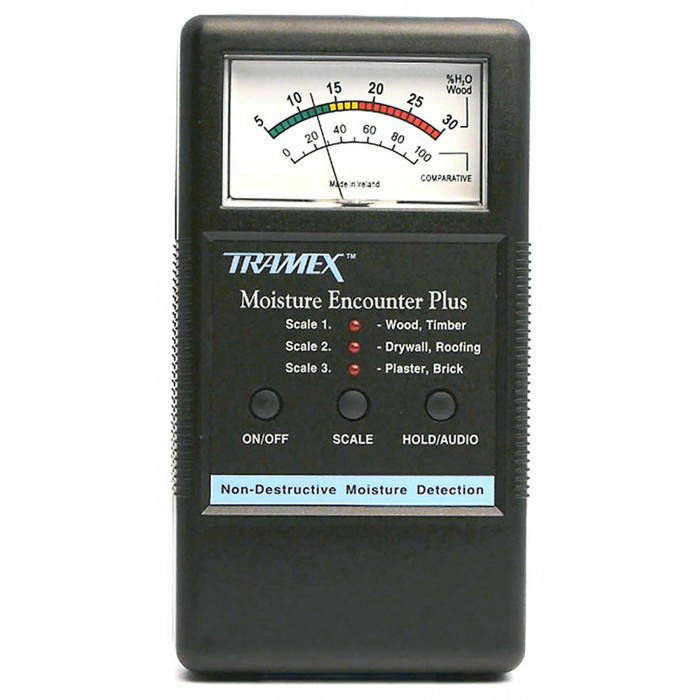 Tramex Moisture Encounter (or similar other brands) This is a very useful device for interior wall scanning. This meter uses a electronic signal measuring impedance to detect moisture in a wall. The signal is transmitted in a loop from the sensor pads. We have found it useful in tracking moisture in several applications. But again this meter will not find dry rot. This meter will not be accurate on hard coat stucco scanning, as some company’s use this device for. The point in moisture detection is to find the moisture at the substrate or interior of the a wall. A scanner used on hard coat stucco is improper. The scanner is detecting moisture in its signal loop at the surface, in the heavy cement base coat, in the cement scratch coat and even picking up false signals from the metal lathe. Using this meter in such away could give frighten readings of 80% moisture, which is not a true reading for the substrate wall sheathing. Infrared cameras are again another tool only, and are not dependable for low moisture content that the scanner may find. What you think is water on a IR camera image may be just be cold air, or another building product dissimilar to that around it. You still have to do test probes to get the exact moisture content. IR Cameras will not necessarily show dry rot in a wall, as we found on a house that was cleared by another inspector using a IR camera. As it turned out ( with the probes) the house had several areas of dry rot from old leak problems. SRT- Structural resistance tester. This device has a calibrated spring loaded resistance to wood sheathing penetration. It measures in pounds how much pressure it takes to penetrate soft ( rotted) substrate. 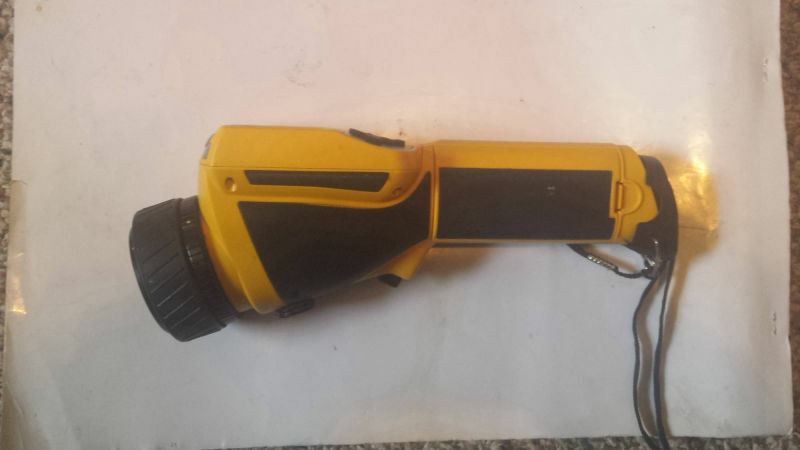 Good plywood or OSB will not be penetrated with this probe. Bore scope Camera- A bore scope camera allows you to see and photograph images inside a wall cavity. The camera usually requires a 3/4 inch hole, but can get into hard to reach areas to find evidence of moisture or related issues. Copyright © 2012 Moisture Managements, LLC. American Owned Leak Detection Company. All Rights Reserved.